I have just started playing around with robotics and electronics after getting hooked by the Arduino microcontroller. Mostly tinkering with different sensors and servos and discovering how things work. 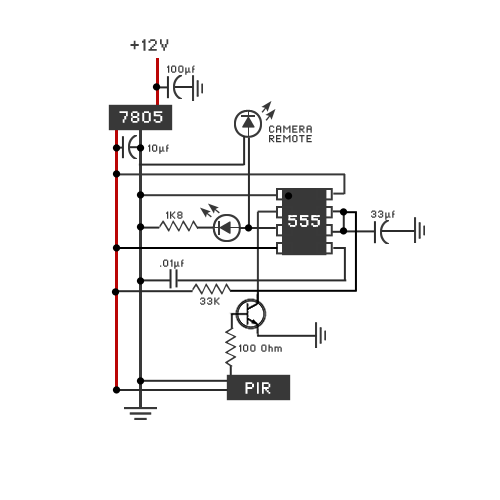 The 555 timer showed up in lots of reading as being simple but a very versatile integrated circuit. There are a ton of examples on the internet of what the little chip can do and the 555 Contest sparked my interest to learn more. Here is my entry into the contest. Nothing real original here, I’m simply using the 555 timer in monostable mode. 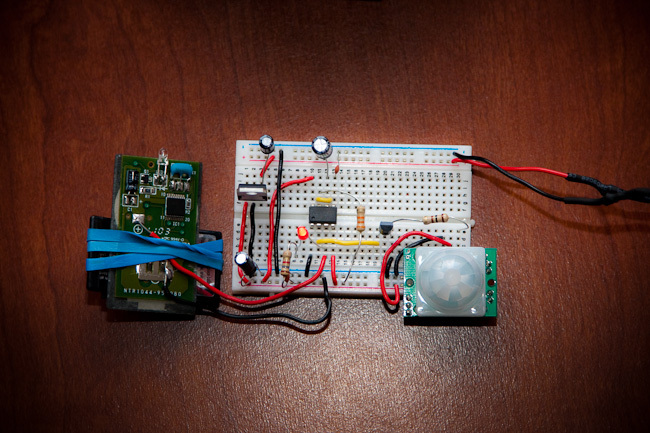 A PIR sensor detects motion and using an NPN transistor, triggers pin 2 by setting the voltage negative. 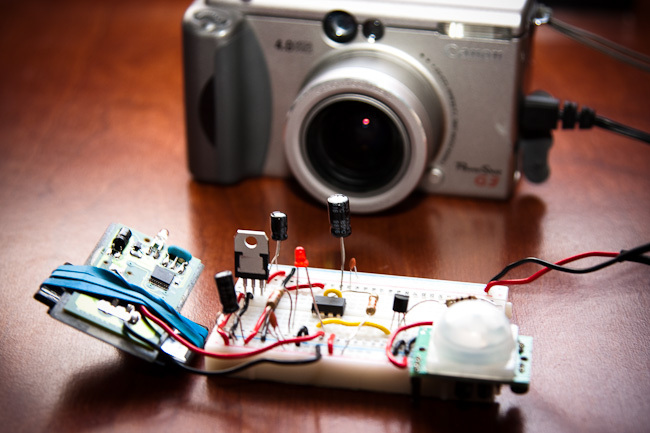 Pin 3 sends just over 3V to the Canon WL-DC100 camera remote which has been rigged with its button permanently pressed. Depending on your camera, you could trigger it directly with a cable but I like the idea of separating the sensor from the camera. Next step is to get this hooked up with batteries in a weather-proof case and try to catch some wildlife. Lots of fun learning all about the 555.